A Foreign Qualification also known as a Certificate of Authority is the process of registering an LLC or corporation to do business in a state outside the state of incorporation. A corporation or LLC is only recognized in its state of incorporation a Foreign Qualification must be completed in each state that a corporation or LLC intend to conduct business. If a company neglects to file the Foreign Qualification it does not have legal standing or authority to transact business within that state. 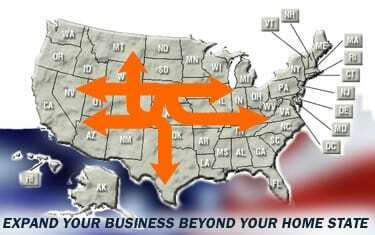 Every state has different rules regarding what constitutes transacting business. Anderson Business Advisors can take care of everything for you. Contact us today and get qualified help from one of our Business Advisors. Does the company have a physical presence in the state? Does the entity have employees working within the state? Does the company conduct banking within a state? Must file appropriate state document and pay the corresponding state fee. Must obtain a Certificate of Good Standing from the state of origin to verify status of business formation.